‘From the Cradle to the Grave’ celebrates a lifelong friendship and artistic collaboration. Sam Friedman and Josh Sperling present a two-person exhibition at the Joshua Liner Gallery in order to honor over thirty years of acquaintance. Showing both artist’s corpus individually, the show honors the share inspiration the artists find in each other works and their compelling connections in the process. Both coming from Oneonta and born in 1984, the American artists share a similar view on art. ‘We are both trying to achieve beauty’ says Sperling. With different medium, this exhibition explores two approaches aiming at a common goal. Friedman works with acrylic. 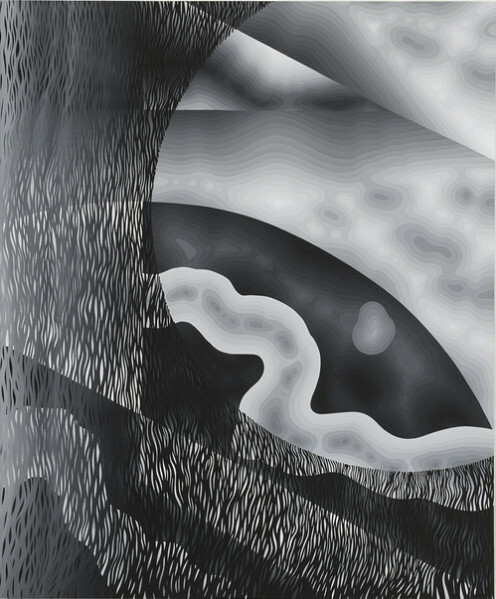 In black and white his concentric lines create moving landscapes and environment. All untitled, his canvas reflect fluid and deep movements. Sperling’s oeuvre plays with plywood constructions and the shadows they produce. 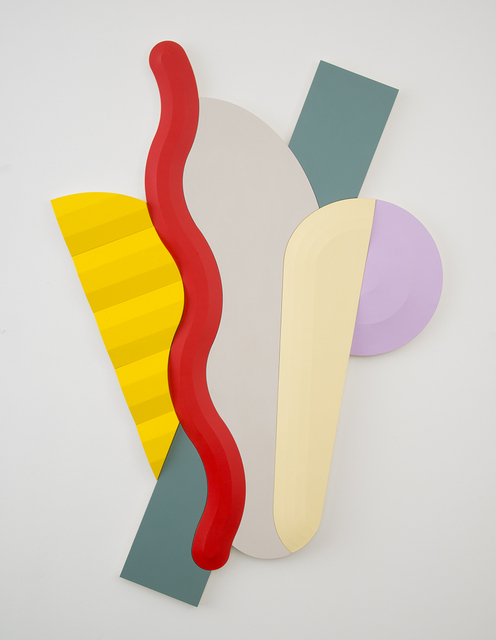 Colorful, these shapes create reliefs on the surface as for Frank Stella and Ellsworth Kelly’s 1960s’ pieces, two main inspirations of ‘From the Cradle to the Grave’.